It’s last year, the middle of September. Rejoice should be anchored out in the lee of Avalon, our first visit to picturesque Catalina, the island off the coast of Los Angeles that was to be one of the highlights of our first voyage down the coast to Mexico. Instead, she’s in Marina del Rey with Dahlia, and I’m in a small office park in Sacramento. 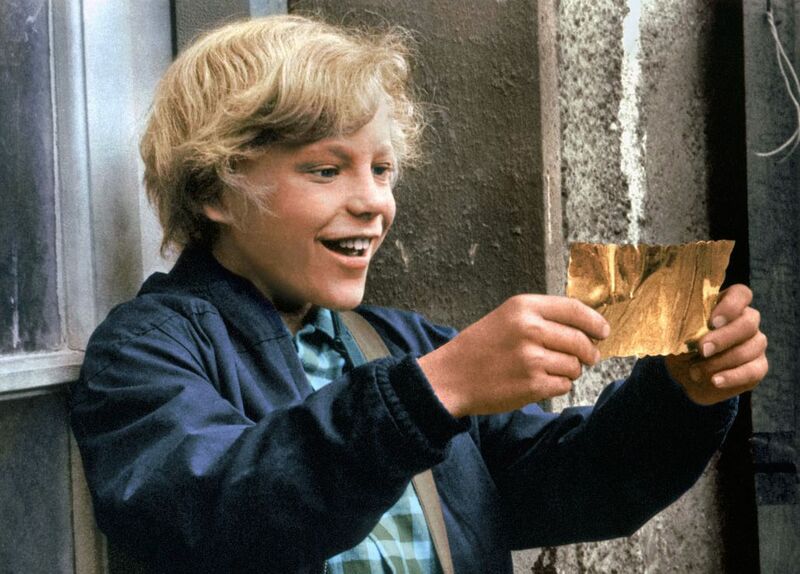 This sounds sad, but instead I’m elated, holding a piece of paper with the same transcendent awe with which Charlie held the last Golden Ticket to visit Willy Wonka’s chocolate factory. 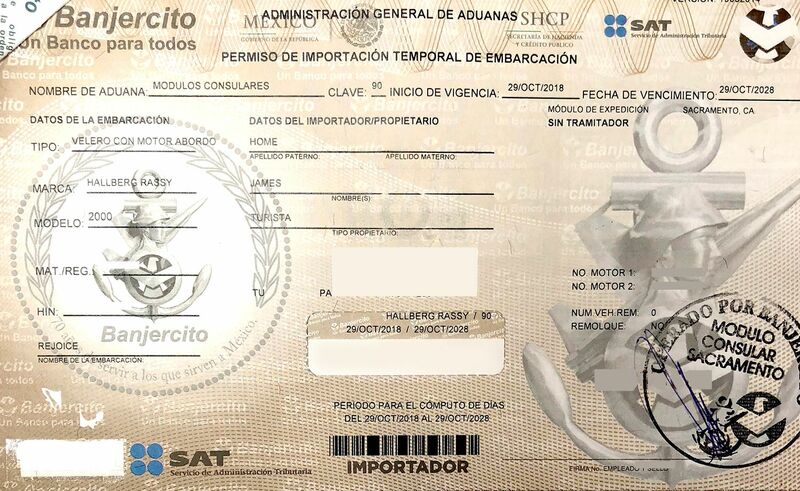 I have been issued a Permiso de Importación Temporal de Ebarcación, better known as a Temporary Importation Permit, or TIP, the document that will allow Rejoice to operate legally in Mexican waters for the next ten years. Less than a week previously, a grave Banjercito official in Los Angeles had told me this moment might never happen. This post will explain what a TIP is, how to get one, and what to do when things go wrong — specifically, when a previous owner has failed to check out of Mexico properly, leaving you in TIP limbo. Every boat that enters Mexico must have a TIP which is valid for ten years and costs around $60. Without one, marinas will often turn you away, and Mexican authorities can impound your boat and assess exorbitant penalty fees. You can enter and leave Mexico as many times as you’d like without cancelling the TIP, but as yacht broker Allison Lehman points out in the comments, if you aren't absolutely sure you're coming back to Mexico before your TIP expires, $60 is a small price to pay as insurance against having to resolve expired TIP issues, as we'll discover in a moment. You can apply for your TIP online, but Baja Ha-Ha organizers, who have shepherded over 3,000 boats into Mexico, strongly recommend against it because it’s easy to make mistakes on the online form and not know you have a problem until your TIP comes in the mail (or doesn’t) weeks later. You can apply and receive your TIP the same day if you go in person to a Banjercito, a Mexican military bank. Most Banjercitos are in Mexico, but many Mexican Consulates in the United States also have one. Not all Banjercitos can issue TIPs for vessels. As of 2019, Consulates that can issue your TIP include Chicago, Illinois; Austin, Dallas and Houston, Texas; Los Angeles and Sacramento, California; Albuquerque, New Mexico; Denver, Colorado and Phoenix, Arizona. You can also get your TIP at your first official port of call in Mexico, although you’ll see why I advise against that in a moment. For company-owned boats, a notarized letter authorizing you to legally represent the company in Mexico. Having color copies of the above documentation can speed the process up. If your boat has never been issued a TIP, it’s a paperwork intensive but straightforward process. If your boat has previously been issued a TIP and you or the previous owner properly cancelled it when the boat left Mexico, it will be similarly straightforward. If your boat has been issued a TIP and the previous owner didn’t cancel it, you're entering a world of pain. To find out if you are entering a world of pain, look your vessel up in the TIP database. This is a great thing to do before you buy your boat. Search for your vessel by hull identification number (just leave the document number blank). If your vessel isn’t listed or the TIP was properly cancelled, you probably won’t have trouble getting your TIP. If instead you discover that a TIP has been issued but not cancelled, even if it has expired, read on. On September 15, I biked an hour and a half from Marina del Rey to the Banjercito in Los Angeles. There I was informed that a TIP already existed for Rejoice, and even though it had expired over five years ago, I couldn’t be issued a new one until the existing one was cancelled. This could only be done by returning the existing TIP document, which had vanished with the first owner of the boat. The kindly woman at the Banjercito looked heartbroken and sent me on my way empty handed. There was nothing she could do, she said, and to her knowledge, no way we could continue our voyage. Lucky for us, she was wrong. It’s important to understand that while TIP problems are exceedingly common among us cruisers (I’m writing this post because I’ve now met close to a dozen cruisers who have gone through what we did), there really aren’t that many of us. The problem is not only rare, it involves multiple governmental agencies. An existing TIP can only be cancelled without the original TIP document by a representative of the Administracion Operación Aduanera 3, a specific division of Mexican Customs based in Mexico City. This was not well understood by many other Mexican officials we spoke to, including the Banjercito clerk who helped me in LA. While consoling myself with a #19 Pastrami on Rye from Langer’s Delicatessen, I remembered that Baja Ha-Ha Grand Poobah Richard Spindler had recently sent an email to the Rally mailing list about resolving TIP issues. I was about to get incredibly lucky, and not just because the pastrami was so good. If it was a previous owner who didn’t cancel their TIP, a copy of your Bill of Sale, indicating you are the new owner of the vessel. If the owner who obtained the existing TIP was not the owner you bought the boat from, an ownership manifest showing the chain of ownership going back to the original owner is useful. Proof that the vessel has been in the United States. This is best satisfied with the dispatch form from Mexican customs from the vessel's last trip to Mexico. In lieu of that, collect marina invoices, slip receipts, US customs receipts, and any other documentation that can serve as proof of the vessel being in the United States. A signed letter introducing yourself as the current owner, explaining why the existing TIP document is not available, and request a cancellation of the existing TIP. Go to a participating Mexican Consulate in the United States during a TIP cancellation event. For the past several years, an Audana has travelled from Mexico City to four rotating Mexican Consulates to cancel TIPs. The Audana spends just two days a year at each of the four consulates, usually at the start of the Mexican cruising season in October or November. I haven’t been able to find a reliable calendar of these events, but Latitude 38 and the Baja Ha-Ha organizers received the press release in 2018, so I’d try them first. Our incredible luck: the annual TIP cancellation event in Sacramento was three days after that first Banjercito visit. I was able to fly up, get the existing TIP cancelled, and get the new TIP issued, at no additional cost other than airfare and a night at a cheap hotel, without losing more than a two day stop on our voyage. We were sad to miss Catalina Island, but having our TIP in hand more than made up for it. Many other cruisers weren’t so lucky, and either had to pay big fines or spend weeks in limbo, not sure if their vessel was at risk of being impounded by customs. If you aren’t absolutely sure your boat doesn’t have a TIP, check right now. Mexico is an extraordinary place to explore, but you need your Golden Ticket to get in. Many thanks to the Baja Ha-Ha Rally Committee, Club Cruceros, the Sportfishing Association of California, and Allison Lehman, all of whom helped us navigate the murky waters of TIP cancellation, and a shout out to all of the other cruisers who belong to this strange fellowship. Please share your TIP experiences! I’d especially love to hear if your experience contradicts what I’ve documented here. The TIP process has changed several times over the last ten years, and while I’ll update this post with any new information that gets added to the comments, you should verify this information with your own research. Please share what you learn in the comments!